Come enjoy a Sound Massage with more than 20 Tibetan Singing Bowls. The Singing bowls (the original ultrasound) produce a resonance that is full, warm, and deeply penetrating. These ancient bowls are engineered to produce more than one pitch: lowering brainwaves to meditative states that relieve stress and promote healing. The harmonics are lush and palpable. 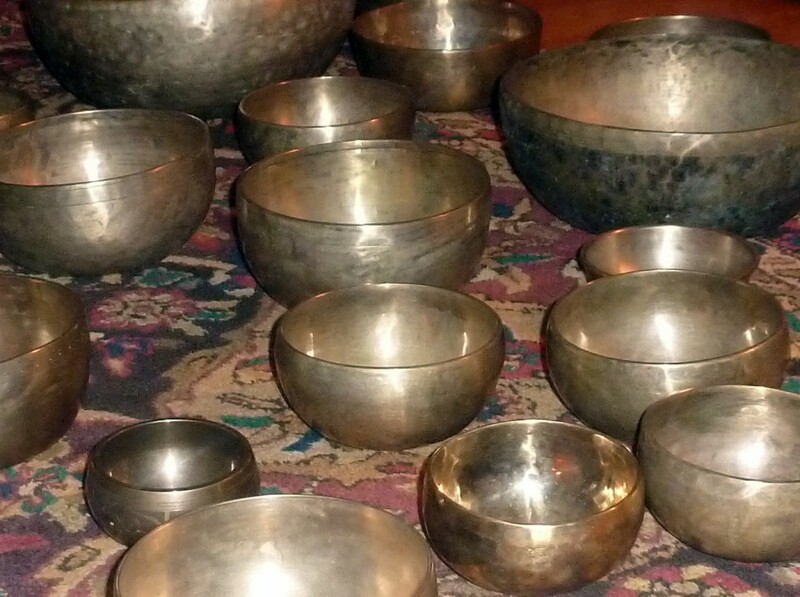 Kelly will demonstrate their use in healing and those who attend are encouraged to participate with the bowls to create these waves of harmonic, healing sounds. In the Singing Bowl workshop, Kelly demonstrates the use of Singing bowls as a tool of healing. She walks the participants through the healing process with volunteers from the group. Each participant has a chance to experience the effects of the bowls for themselves, both from being present in the room, and from the opportunity to “invite” the sound from the bowls, themselves.